Beauty & the Beast was written by Warwick Hutton. Beauty & the Beast was published by Everyman Publishers. 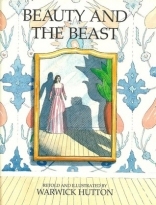 Subjects of Beauty & the Beast include Children's Books, and Folklore.